From time to time here at The Abundant Artist, we review WordPress plugins and other tools that I find especially useful. You can see a list of themes I recommend here and (for ecommerce sites) here. In order to build your own site, you will, of course, need hosting. You can sign up for the hosting I show in the video with Bluehost. Divi* is a really neat WordPress theme that allows for a high degree of customization without technical knowledge. With a little patience, Divi will cut your WordPress setup time down quite a bit. You can purchase Divi by clicking on this link. This review and walk through assumes that you are comfortable with web browsers and simple internet tasks. If you are someone who doesn’t use email or only rarely goes online, this tutorial may be a bit of a challenge for you. If, however, you are fairly comfortable with adding attachments to email, downloading audio files, or simple image editing, then this should be pretty straightforward. If you really want more in-depth info about hosting & setting up a WordPress site, check out our upcoming webinar on hosting & WordPress themes. 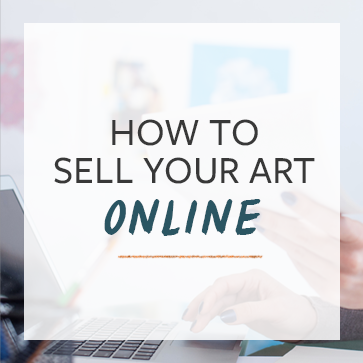 How to photograph and edit your art for your website. There are lots of additional Divi tutorials on the Elegant Themes’ documentation page if you get stuck, and Elegant Themes has excellent support – you just have to know how to use the forum search and question posting features. Divi* is not a perfect theme. For many artists, this might still be too much to handle. Also, while the page builder is a powerful tool, it’s still not going to give you the level of control that having a custom site will give you. That said, overall, Divi is quickly becoming one of my favorite sites to build artist websites on. I’m a loyal Divi fan and have used it on my Watercolour Journey website since its release in December last year. Loving your blog, great advice and reviews, thank you so much for sharing. Thanks Ian, and thanks for the mention on Facebook! I’ve been looking at reviews for this theme but have yet to see page speed taken into account. To me it seems to take too long to completely load. Overall it looks great, but the glitz seems to impede load time too much for me. I haven’t done a rigorous test, but a quick Google Page speed test tells me that compared a very minimalistic theme Divi is slightly slower – but if you’re properly rendering your images before uploading, using caching, and minification settings, it shouldn’t matter all that much. Artists who are looking for themes that make life easier for them will probably find the small page load a good tradeoff for having a site that they can build themselves. I’ve been working with Divi for months now and it has been a nightmare. They claim great technical support, but there is not way to talk to someone on the phone. The initial chat when they advertise Divi is to sell it only. Those who sign up do not get that service. I filed my first trouble ticket (one for each question), and it took them 60 hours to respond. As a visual person, Divi has been difficult to build with because it asks both sides of my brain to work together. This is for my son’s business, so we hired someone to assist me who knows WordPress. Even he is baffled by Divi’s lack of “intuitiveness.” I just read that Weebly has become stronger as a commerce website builder. About five years ago I found them extremely easy to use. I believe we’re looking at changing after investing in a Lifetime program through Divi and thousands of dollars in lost programming. The value of dealing with a passionate person actually invested in the company they built from the ground up is often underestimated. It reminds me when I worked in a server room (in a different life / the corporate world). A Swedish software company vying for a contract had a tagline that read – ‘far from the biggest’. In the 90’s when big was beautiful (certainly with sw providers), some of the management team wondered if this was a lost in translation kind of thing. I certainly have come to appreciate what they were trying to say. P.S. For what it’s worth I let Nedra know how I found her. I was about to purchase my self for my wordpress site, but a little confused by this comment. What do you mean can´t use it with wordpress.com? You can only use Divi with self-hosted WordPress sites, not WordPress.com pages. Question: I’m wondering about dimensions and sizing for the art images that one uploads to Divi. Do you have recommended guidelines? I tried looking for another YouTube video of yours that talks about this but haven’t been able to find one. Also, do you use any plugins to either resize or optimize your images like WP Smush or EWWW Optimizer? This is soooo helpful! combined with another you tube I saw. WordPress feels more doable for me now. Question: If I have a seperate wordpress blog off wordpress.com prior to launching a full website, cal I then somehow incorporate that into my full webpage once I create it? Wow, that looks amazing! Thank you so much for this! I am definetely switching back to wordpress and will purchase this theme. I just have one question being very non technical=P I have this other website (lenesartstudio.com) that is with Wix, which I want to keep while I work on my old wordpress site until im happy. Do you know if it will be tricky to, after deleting my wix site, transfer the content I will create on my old wordpress site to my existing domain with wix? If it is complicated, is that something I could pay you to help me with in the future? Thanks again so much, ur making the progress of going from a hobby artist to a professional such a joy! If you have a php database in Wix then you can just transfer that to your WP site via your hosting services. Alternatively, and having looked at your site, you could manually enter your content which you don’t have a lot of pages to move across. In The Beginning, I despised WordPress. 🙂 After working with it as a programmer for 10 years or so, I grew to realize it is an **amazing** pluggable platform and in the hands of a decent developer can be made highly efficient. Out of the box WordPress is very page-heavy and needlessly slow (which was the reason for my initial impression,) but that is not the fault or responsibility of the platform, it is the **theme** creator that can make or break the usefulness of WordPress. The reason? Besides the relative inexperience of many theme developers, too often theme developers try to make their themes all things to all people. That is what makes many implementations so slow and bloated, carrying around tons of code that is never actually used but hogs up memory and CPU cycles, of both your server and the visitors’ browsers. My point is that while I totally agree WordPress can get the not-so-tech-savvy up and running in short order and is a good start, to really optimize it’s usage and improve your visitors’ experience, once you’re running find a developer you can trust that will optimize it for you. It will be well worth your investment. Thank you for your video on how to start up a WP site. I have had a WP site since Jan 2013: rsmithdigital.com, rsmithdigital.org, rsmithdigital.net. I am using the “Minimatica Theme” which is a free theme listed on WP’s theme list. do you any suggestions for a Shopping-Cart plugin that I could use? The most common plugin is Woocommerce. Thanks for sharing this blog. I think Divi Theme needs to be featured on more websites right now. So that more people will get aware of it. Divi Theme doesn’t need much of the coding now. That means anybody can design their website by themselves. As someone new to the site, I left my comment under another, so I’m reposting it here. They claim great technical support, but there is no way to talk to someone on the phone. The initial chat when they advertise Divi is to sell it only. Those who sign up do not get that service. I just filed my first trouble ticket (one for each question), and it took them 60 hours to respond. As a visual person, Divi has been difficult to use because it asks both sides of my brain to work together. This is for my son’s business, so we hired someone to assist me who knows WordPress. Even he is baffled by Divi’s lack of “intuitiveness.” I just read that Weebly has become stronger as a commerce website builder. About five years ago I found them extremely easy to use. I believe we’re looking at changing after investing in a Lifetime program* through Divi and thousands of dollars in lost programming. *The Lifetime Package is the most expensive, but we are constantly being asked to buy new inserts, such as the best testimonial program. I am so disappointed. We used Divi for a photography website and the result is satysfying, though I wouldn´t use it again. The builder overruning the native WordPress editor is not the most elegant solution and generally WordPress seems like an overkill for a portfolio website. I am going with Wix for my next project.